One of my biggest regrets (at the moment) is not finishing my European scrapbooks from the summer of 2008, when I spent 6 weeks in Italy, France and Ireland. When I saw the weekly challenge on the Fantabulous Cricut Challenge blog this week, I immediately thought of these beach pics from my trip to Italy and got inspired to make a layout. They aren't the fanciest pics but they bring back such fun memories of getting in the ROUGH waves at the beach at Cinque Terra. The waves knocked us down like bowling pins! 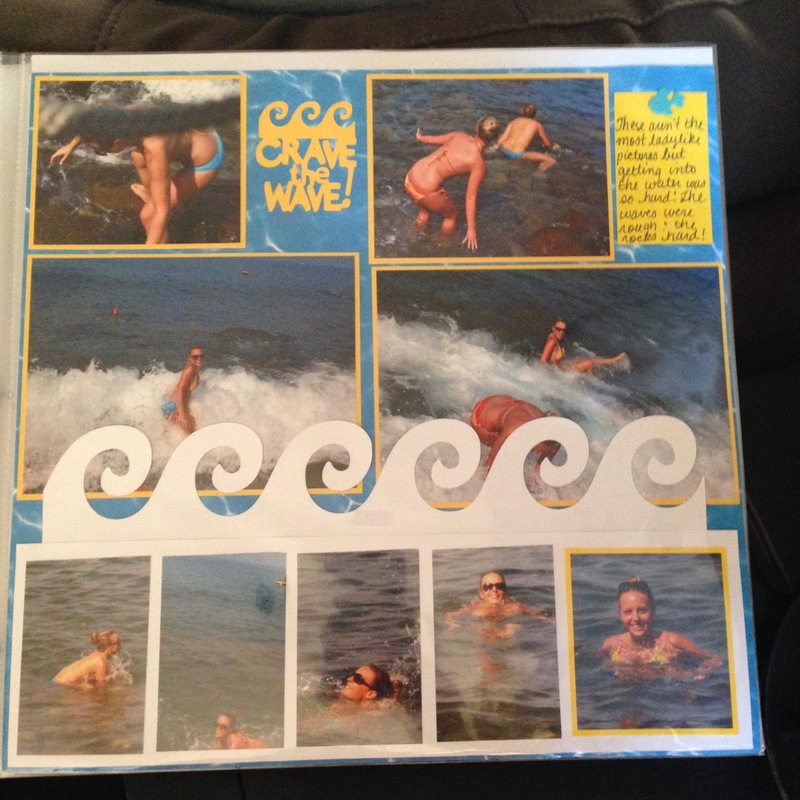 I used the "Life's a Beach" cartridge for the "Crave the Wave" cutout and also for the wave border. I also like that I was able to get SO many pictures onto one 12x12 page. cute! I love that wave border cut too! Great LO! Thanks for playing along with FCCB this week!